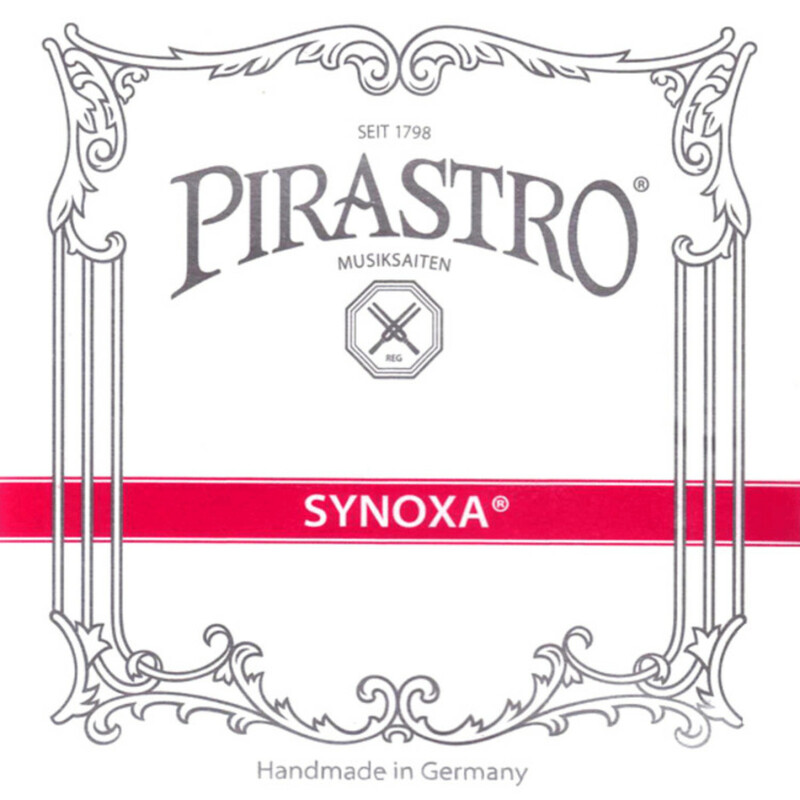 The Pirastro Synoxa Violin String Set has a reliable sound and comfortable feel. The A, D and G strings feature a synthetic gut core made from nylon for warm tones and a versatile response. The aluminium and silver windings add depth to your overall tone, as well as a more comfortable feel. The E string has a steel core that is left unwound for increased projection and clarity. The medium gauge tension offers an ideal balance between versatility and playability. These strings are designed for full size violins and feature ball ends. The Synoxa string series is designed to give players the sound of gut without the potential drawbacks. The strings produce a generally warm, bright character that is favourable to developing musicians. The strings are insensitive to environmental change, making them suitable for gigging musicians who practice and perform in a variety of settings. Each unwound E string has a more direct sound, whereas the wound strings provide depth and controlled resonance. These strings are ideal for the musician who wants to advance their voice whilst still having tuning stability and comfort.